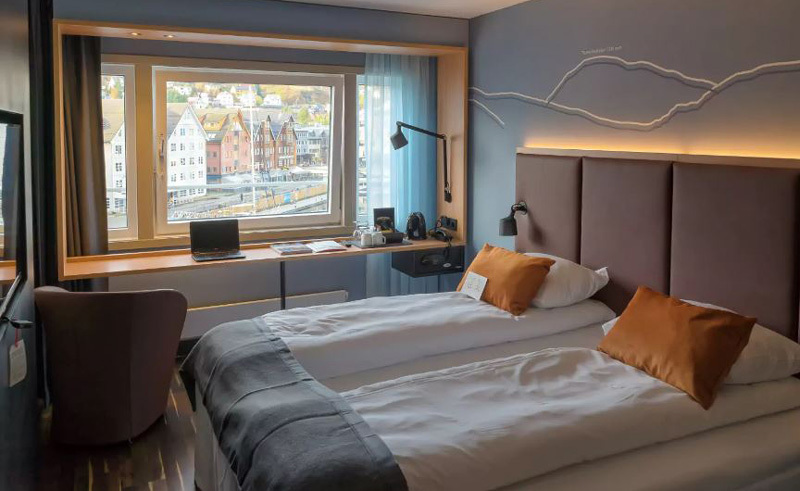 Found in the heart of Alesund, one of Norway’s most important and intriguing fishing ports, the Hotel Scandic Parken offers 197 rooms to visitors looking for a central place to stay. 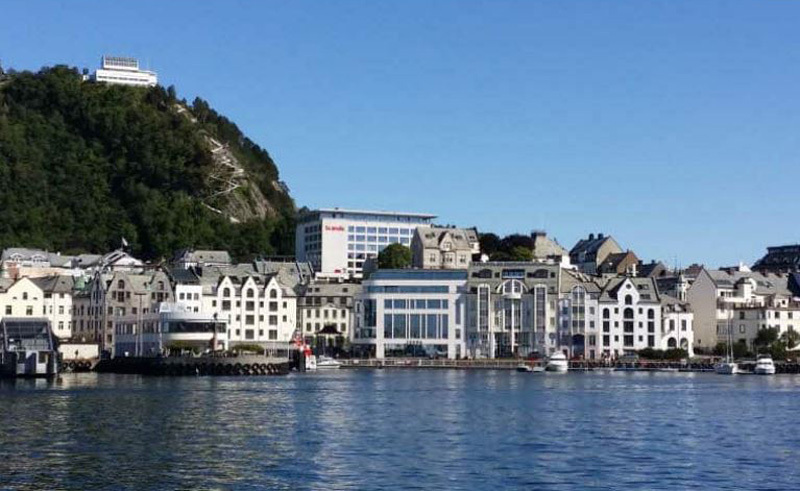 Claiming a place of significant elevation, the hotel affords fantastic views of the town itself and the nearby islands which stretch along the coast. All rooms have a shower/bath, minibar and TV, plus wireless internet access. 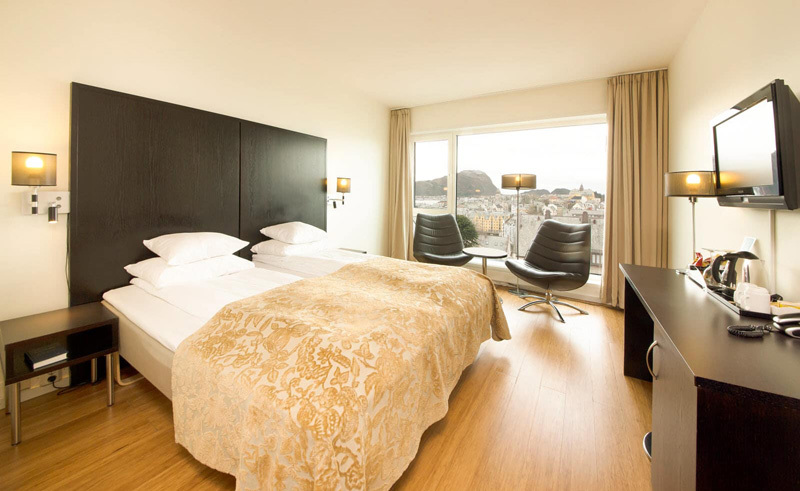 The sauna and some of the suites are situated on the top floor of the hotel, with panoramic views of Alesund and the sea. Many guests venture into the town for dinner, although it is worth noting that the hotel’s a la carte restaurant, Brasserie Normandie, has a great reputation for its superb selection of fish and meat dishes. The restaurant offers everything from local specialities to international favourites. Before or after dinner drinks can be savoured in the lobby bar and cafe, Galleri Flora, which offers a fine selection of wines. From the hotel, a popular walk takes visitors up Mt Aksla for even more dramatic views across the area.